LAHORE: Lahore Board of Intermediate and Secondary Education (BISE) has finalised the arrangements for the Secondary School Annual Examination 2018 starting from March 1. 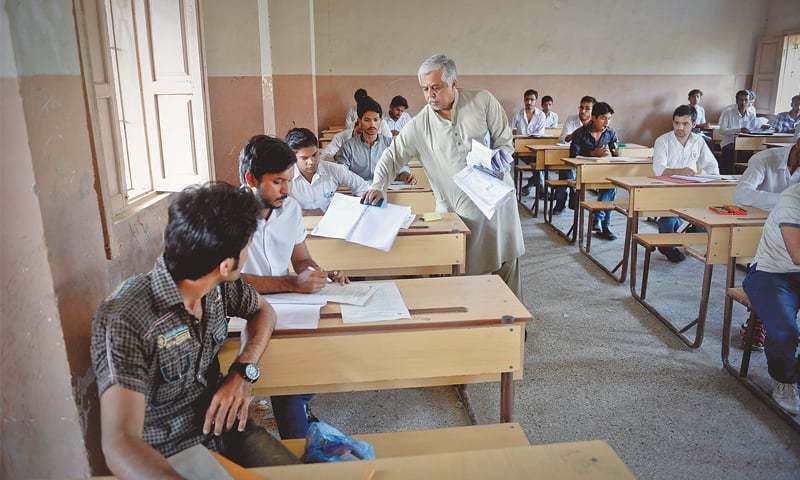 In a statement issued by BISE Controller Examinations Prof Muhammad Nasir Jamil on Thursday, it was stated that the process of assigning duties of the examination staff was completed with full transparency and 812 examination centres were established for 500,000 students. Along with it, the process of examination workshops was going on in full swing to maintain mutual coordination between the students and the examination staff. It would also help to maintain complete transparency during the examination process. He further said that the role number slips were issued and if a student did not receive his or her roll number slip, then the Lahore board should immediately be approached.